I love using my slow cooker in the summer when it is too hot to turn on the oven, but I equally love to use it at other times of the year. 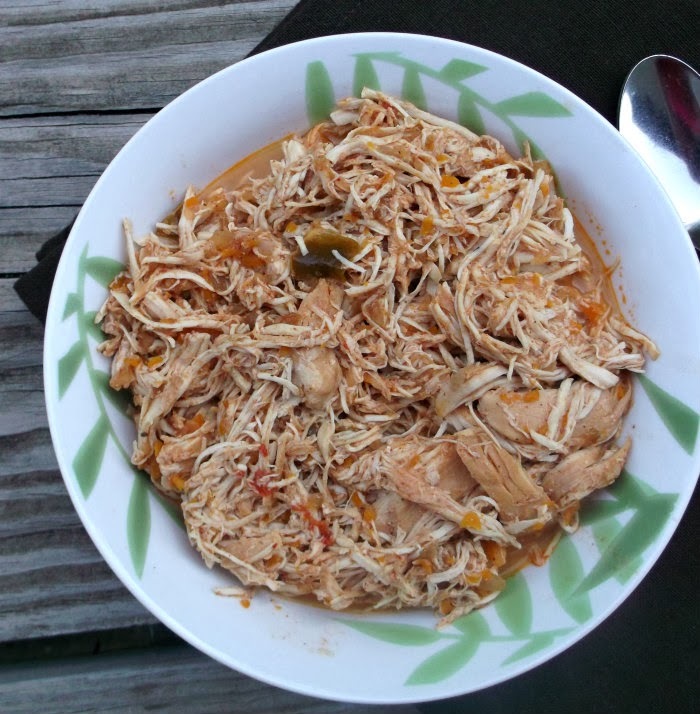 This recipe that I am sharing today is one that uses a slow cooker, it is one of those recipes that you throw everything together and later in the day you have scrumptious food to sit down to. I have Mike to thank for this recipe, he actually saw it on Facebook, my sister had posted it on her page. He was so excited about the recipe that we made it the very next day. It turned out to be one of those recipes that we will be adding to the menu again and again. Not only does it turn out to be delicious, but it is healthy, and you can serve it up numerous ways. The first night I served it with the potato dish from my previous post and tonight we used it with tortilla shells for a chicken wrap. I hope to be sharing more slow cooker recipes as the fall turns into winter with some comfort foods, so please stay tuned. 1. 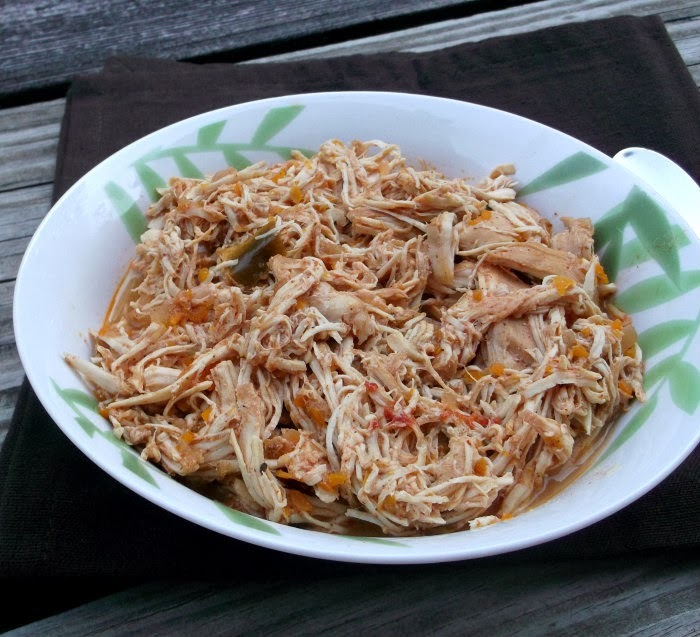 Place chicken in slow cooker, sprinkle with taco seasoning over meat, then layer veggies and salsa on top. 2. Pour 1/2 cup water over all ingredients, set on low for 6 to 8 hours or high for 4 to 6 hours. 3. When done, shred chicken, stir in sour cream and serve. The salsa must make this so moist and flavorful! Quick, simple, and tasty – my kind of recipe. This looks so tasty, and it’s certainly easy. I rarely use my slow cooker, and need to change that! You can do such good stuff with them. Anyway, thanks for this.